I want to start my Supfoil career now too. I already have a custom board 7'11 x 30,5" tomostyle , 129 l, with two 25cm US-rails, starting 40cm, or 16" from the tail. Europe located and not able to use a GoFoil (no Tuttle), I have access to the following foils, which would you recommend? btw how heavy are you? Go the Naish. 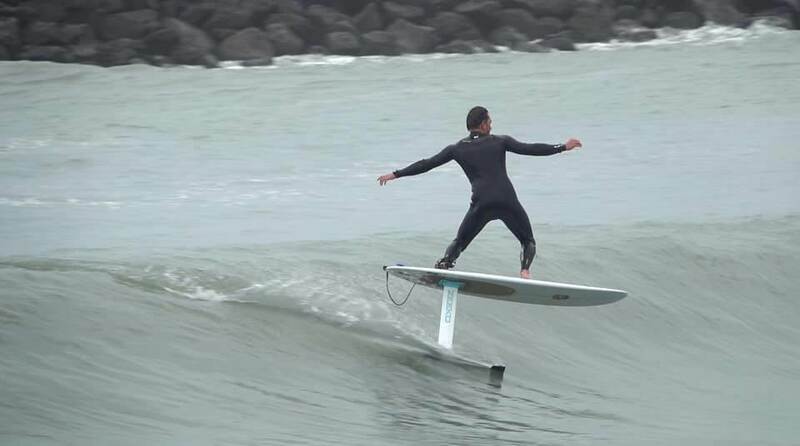 There's a reason all the pro surfers are leaning towards it for their foil of choice. John John Florence, Joel Parkenson, Julian Wilson, Ace Buchan, Mikey Wright and many others all chose and paid for the Naish Thrust Surf Large. One of the key features is the total interchangeability and available accessories, plus it is just an amazingly stable foil. Enjoy the glide, ride safe. Its a bit hard to get an honest answer on here, just about everyone has a vested interest and most guys will just tell you the one they know even if they haven't tried anything else. Loving the Takuma V400.Has great early lift and is super easy to learn on. Also has a new tail wing (available soon) to "jazz" it up a bit, when you progress your skill level.The Naish is also good, but i personally think the Takuma is better quality and finish.My 2 cents. Even with no financial interest, we all unconsciously try to justify our actions, so we will praise the gear we bought so that we do not feel stupid for having bought it. I would just be wary of aluminium masts: they seem to bend a lot from what I saw locally and read on the web (so buy a brand with a good support - but this is true for any expensive gear), and you must take care to avoid the corrosion issues. I have 90 kg and am 1,92m tall. 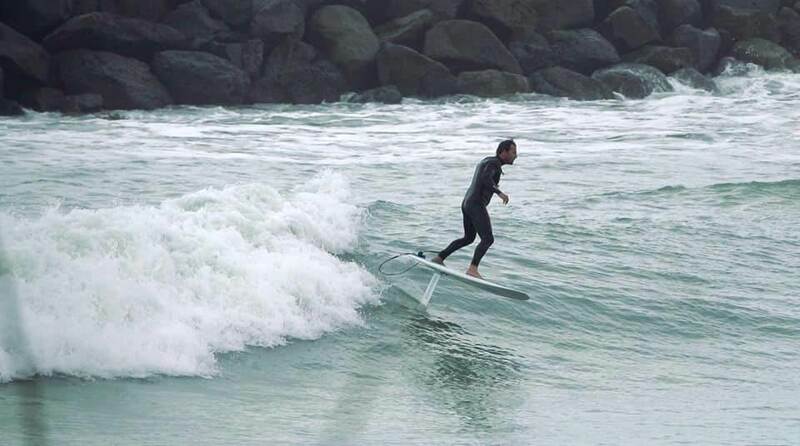 Advanced SUPsurfing skills, but have to recover balance in moving water at every begin of the season after a few month in winter. Also i have gained some advanced windfoiling skills the last two years, but i don't now if this helps. A guy doing both told me windfoiling is easier to learn. But he also recommends footstraps and learning behind a boat, whatever this means. I would rather avoid straps and have no easy access to a boat. Canard for a beginner like me? I'm not sure, if this would work for me. Too afraid of buying (totally) wrong this way. My favourite would also be the Slingshot esp. pricewise, but after Piros tried and wrote alot about it, it got quite calm, i don't think he is using them anymore. Bad sign? Also my german distributor told me they only come with the H2 wing as a complete foil, the H4 has to be purchased additionally. You got it with the H4 complete? Slingshot H4, short mast for learning was very reassuring. Didn't fall much at all. Switched to 24"mast after 3 weeks. I haven't tried anything else, so I think it's perfect. I am 98kgs, 125ltr Rod Hocker 8'10" with track box added. I can't fault the foil, lanolin for lubing it every week or so, the alloy mast feels rock solid. Just got pumping started properly, so can't wait to get a lighter, smaller DC special, but the foil (and me)is getting better with every surf. Apparently Slingshot have a carbon surf mast on the way, so I'm saving up. Go Foil , Naish , Slingshot & Takuma have ridden and rate them all . No duds just get what suits your budget ,they all work well and have Pros & Cons but you can't go wrong with any of those four. Yes there are tons more but the above 4 are my pick from what I have been able to personally ride. I'm selling my Naish Thrust large in the buy/sell section at the moment if anyone is interested? Could you give me the shipping costs to Germany? I assume you have also ridden the Fanatic Flow? any particular reason it didn't make your list. I loved the North/Fanatic Speedster behind the boat but the Flow has way too much flex on a Sup in the mast base, fuselage and where the big wing attaches , plus the rear wing is death sharp. Interesting, I agree fully on the rear wing, those rear corners are lethal, but were easily rounded off with sandpaper and have not made a sound or incision since so assume I did an ok job. I have now spent a bit of time windsurfing the Flow and have not found flex to be an issue there (and I believe the loads are bigger under a rig than on a little wave). It is a very comfortable wing at good windsurfing speed, and I have not noticed any tendency to wander or bounce as i would expect if flex was truly an issue (the material definitely has flex, I'm just not sure it makes a difference when using it at my level). However at my weight I am finding it tricky to maintain flight in the surf. I do need a lot more time on it before I can actually blame the foil for this but feel if might need a bit more speed than I am getting in the surf to fly my 110kg. Interesting response to this question by some people! Some are honest! Some should declare if they have interest! I have ridden both Takuma and go foil and would be happy to recommend either based on riding them. Sounds like Piros has done a lot of trial and error so he is always not far off the money! The Flow does work with great lift but I can really feel it move under my feet in flight and becomes really twitchy , very sketchy in sweeping turns . My Go Foil is solid with the Kai and slightly flexes the mast with the IWA on and the 200 is really bad. It is really unsettling with the 200 just standing on the board it rocks from side to side under the board same with the Slingshot with the H9 & 10 wings. It really burns your legs out. That's why I haven't worried about getting the 280. IMHO I reckon Go Foil should develop a longer and stiffer mast for the 200 & 280. Aidan re the Flow on the windsurfer different story as you can load the foil and lean back keeping the pressure on same as kite foiling , that's why the foot straps are offset , it's not until you jibe or tack that you will feel the mast flex back when you remove the load. 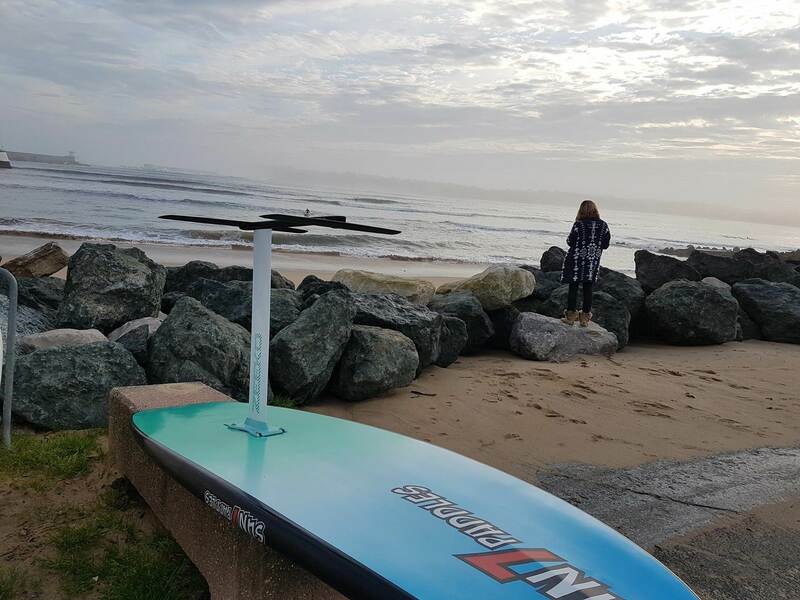 On a Sup you are standing straight above it with your feet on the centreline with the mast at 90 degrees this is when you will feel the mast & wing flex from side to side in flight , very different to when it has a constant load angled over under sail. BTW never wind foiled but it looks so cool and would love to have a crack at it. I got the Information today, that in Germany the SS Supfoil does come complete only with the H2 wing, the H4 additionally, so extra Euros. Was this a special "Piros pack" yout got with the H4? Would a Takuma V100 work for me, Beginner with a 90 kg Body? Recentley some used ones did show up around here.